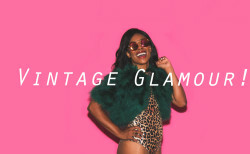 It may seem strange to people who already love to wear vintage, but newbies can find the idea of wearing vintage fashion quite intimidating. It’s easy to see why when we see Hollywood stars looking picture-perfect in their vintage Chanel gowns, or immaculate 40s-style pin up girls who seem to have been born with glamorous red pin curls and an impressive cleavage. 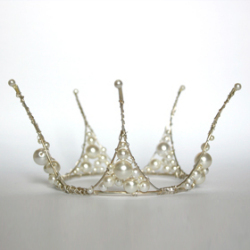 To the rest of us however dipping our toes into the vintage scene can seem a little frightening! But fear not, I’m here to gently encourage you and give you all the confidence you need to start wearing vintage! After all, what you wear should be fun, not something to feel anxious about! A major concern for people wanting to start wearing vintage is that they won’t get it ‘right’. Will you look look like you’re on your way to a fancy dress party, or maybe like you’ve been rummaging around in a thrift store? 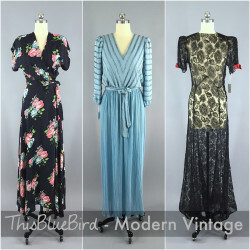 Luckily, one of the great things about wearing vintage is that there is no right and wrong. That’s what makes it all such fun! 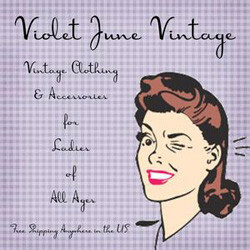 You could go for a full-on authentic 1940s look, complete with Victory Rolls, perfect makeup and authentic vintage from top to toe, or just throw on a 1970s sweater with a pair of your usual jeans. Either way you’ll look fabulous! Above: One example of mixing vintage with modern. This amazing vintage 1960s-does 1920s dress, would look great with a cashmere sweater and some cute flat shoes. I’ll let you into a little secret: there won’t be an underground network of vintage fashionistas looking at you and whispering behind their hands: ‘look at her, she’s wearing a 1950s sweater with 1970s jeans!, Can you believe it?’ That just doesn’t happen! There’s a lot to be said for being comfortable in what you’re wearing, but at the same time it’s good to push the boundaries a little too. If you don’t feel like wearing head-to-toe vintage, try just adding a vintage handbag or earrings to your normal outfit, or wearing a vintage dress with modern accessories. Just try it as an experiment! The compliments will start, and with each compliment you’ll feel a little braver and ready to start dressing in clothes which really inspire you. Oh, and don’t worry about looking ‘dated’. You won’t look old fashioned unless you want to. Your favorite stores are full of styles which are reminiscent of vintage fashions – you’ll see cheap knockoffs of 1920s flapper dresses, 50s prom dresses and 1960s minidresses everywhere, so why not wear the real thing. You’ll look terrific! Something I love about wearing vintage is that nobody will be wearing the same outfit as you! Fashion stores make thousands of each style of dress every season, but in the past fashions were generally produced in much smaller quantities, and even handmade. So you can be pretty confident you’ll be the only person wearing your fabulous 1960s dress! It’s true that this uniqueness can make shopping for that perfect vintage party dress a little more difficult, (after all if everything is unique, you need to look harder to find that perfect dress in your size), but that can be part of the fun. 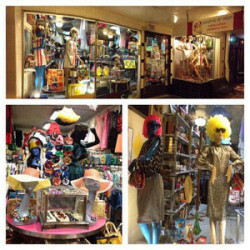 There’s an absolute cornucopia of styles available in vintage stores, it’s like having the biggest box of candy in the world to choose from! Lovely isn’t it? The bust measures 32″, the waist 26″, hips 44″ and the length is 43″, and if you’re not sure how to take those measurements there are clear instructions how to measure yourself too – see? Easy as pie! Team it with some shimmering gold shoes and a gorgeous gold wristlet (which is like a mini clutch bag but with a handy wrist strap) for some real party glamour. 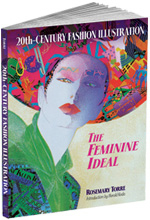 Fast fashion simply didn’t exist pre-1980s, and garments tended to be much better made than the equivalents today. The quality of vintage speaks for itself: after all, will a dress bought in a supermarket today still be around in 70 years time? It probably isn’t biodegradable so I’m sure it will still be around in some form, but I doubt it will be in any kind of shape to still be a desirable item of clothing! 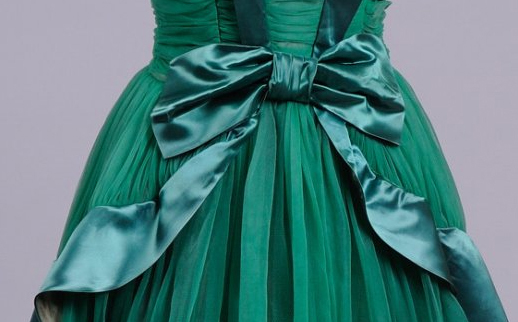 Compare that to this vintage 1950s dress (below), which is absolutely exquisite. As beautiful today as the day it was bought, the fabric is gorgeous and the embroidery and sequins were probably sewn by hand. You’d have to buy high-end designer clothes to get that kind of quality today, unless you’re smart and go for the vintage option! So, what’s not to love? 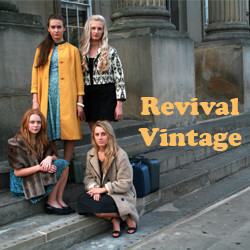 Vintage is versatile, stylish (after all, a classic outfit never goes out of fashion!) 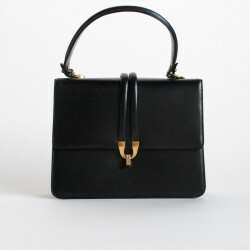 and great fun to wear, so why not take the plunge and start wearing vintage today? 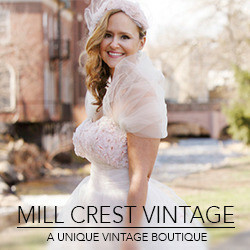 Guest post by Mill Crest Vintage Clothing. 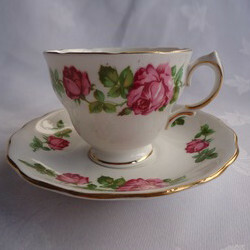 If you would like to contribute a guest post to the Vintage Directory please get in touch!